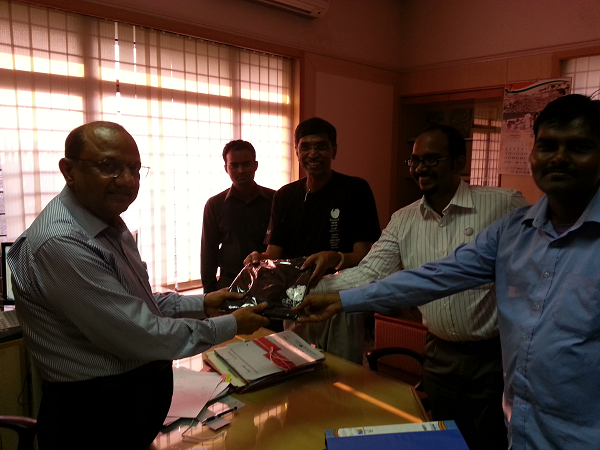 Karthik Subramanian, Programme Officer at CGG had organized for meeting with the Assistant Director of the CGG. During the meeting with the Assistant Director, we explained to him about the many possibilities of using Wikipedia as an open knowledge and information platform in Indian languages and how even CGG can put up its work on it to share with larger public. He raised questions about the authenticity of information on Wikipedia and the wiki model was explained to him. Following this, the Wiki Academy began with 20 participants. The Academy was mainly lead by Arjuna and Rahmanuddin. Workshop in progress. 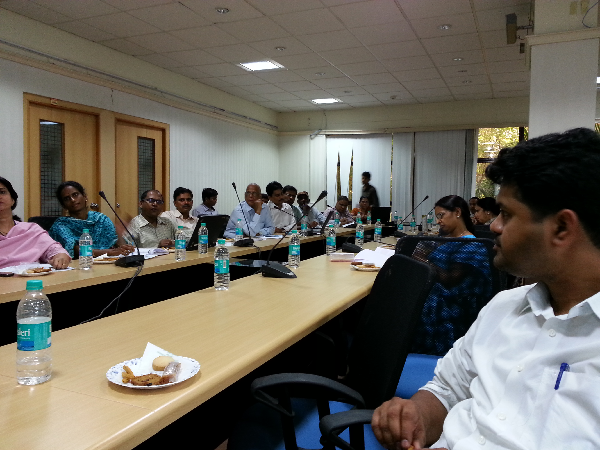 Interactions with staff of CGG on their queries pertaining to Telugu Wikipedia. As many people did not turn up with laptops it was not possible for all the participants to practically use Wikipedia. Rahmanuddin helped various participants in creating User names on Wikipedia. Simultaneously during the hands-on session a discussion on various aspects of Wikipedia was held with some of the participants, who were senior retired officers from the Government of Andhra Pradesh. This was anchored by Arjuna and Vishnu. Other than the usual questions of how to ensure authenticity of contributions and vandalism to articles, the group offered suggestions on collaborating with various government departments in putting out relevant information on various aspects on Telugu Wikipedia. Further, a meeting was held with the Director General of CGG Mr. Sinha (see image above), who offered help in getting media held by the Department of Information and Public Relations, Andhra Pradesh in public domain and on Wiki Commons. Before concluding the Wiki Academy Telugu Wiki Mahotsavam T-shirt was presented to the Director General and Kartik Subramanain for hosting the Academy at CGG at such a short notice.